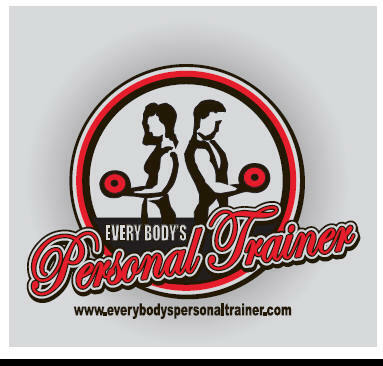 Looking For Personal Trainers in Towson, MD? Would you like to get back into shape? Are you feeling overwhelmed how to do so, an perhaps interested in hiring a personal trainer in Towson? The truth is that teaming up with an in-home personal trainer is the most effective and safe way to reach your goals. Our amazing staff of personal trainers in Towson can tailor a fitness and nutritional program prescribed specifically to fit your individual needs. We offer fitness and diet programs for people of all walks of life, specifically tailored for each individual. If you have a goal, our personal trainers in Towson can design the program that will help you to achieve that goal quickly and in a safe, efficient, manner. 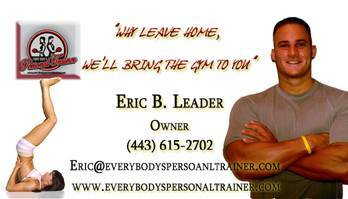 At Every Body's Personal Trainer, we serve various locations throughout Baltimore County. If you live in the area, you came to the right place. Our staff in Towson are among the best in Maryland, and we look forward to serving our clients. Have one of our instructors work with you in the comfort of your own home. We will bring the equipment necessary to give you a great total body workout in the convenience of your home. Give us a call today to get started on your path to achieving your goals with one of our in home personal trainers in Towson. Exercising can be very very strenuous and downright difficult especially if you haven't worked out in quite some time. Even worse yet is the intimidation that many feel when attempting to workout in a commercial gym. As a result, Every Body's Personal Trainer was born in the year 2007. Our company of down-to-earth personal trainers strives to make exercise fun, convenient, and void of any intimidation. Finally, you can relax and enjoy the convenience of working with a professional in the comfort of your very own home. Our instructors, who hold certifications such as the American Council on Exercise, National Academy of Sports Medicine, American College of Sports Medicine, would love to help you achieve all of your fitness goals. So if you are ready to start your journey to a healthier and fitter lifestyle, then we would love to chat with you about our programs. Our certified fitness instructors work with clients of all fitness levels and ages and would love to meet with you for a free consultation to chat about your goals. You can call us anytime at 443-615-2702 to schedule your free consultation. We here at Every Body's Personal Trainer are passionate about what we do, and that's helping our clients achieve a healthier and higher quality of life. 1.) Intensity, intensity, intensity! To obtain results, your body needs stimulation and an overload to make the adaptations to get you those results you seek. The body needs to be stimulated. It needs intensity to make it reinvent itself and change. Although we try, it's very hard sometimes to train with high intensity by yourself. Having an instructor to work with will help you reach that higher intensity level, and allow you to get those results quicker and easier. 2.) The encouragement received from a fitness professional is very motivating. Let's face it, working out can be tough, and sometimes boring. Our fitness pros will be with you every step of the way, encouraging and motivating you to achieve your goals. Do you find yourself too tired to workout sometimes, let our staff use their energy and enthusiasm to help you through those tough workouts. When you work with our staff, you see results much faster. 3.) Our certified personal trainers in Towson will give you accountability! Do you find that you are missing workouts? The gym isn't going to call you and ask where you are. With an in home personal trainer, you have an appointment. Our fitness pros will be there regardless, no more excuses not to get your workouts completed. We'll motivate and give you accountability. 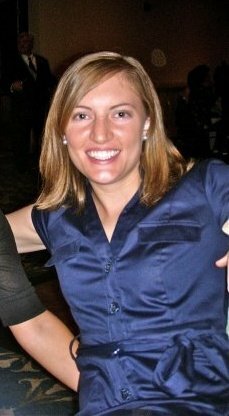 Why do I need a personal trainer in Towson? Very, very, good question. Let's face it, life can get busy, it can get stressful, and an energy-boosting workout isn't always going to be on the front burner. Be honest with yourself, at the end of the day, after you have driven home in traffic, had your dinner, put the kids to bed, and spent some time with your significant other, do you find yourself working out intensely or going straight to bed? I'd be willing to bet that you are hitting the sack. We have become accustomed to being busy, working longer hours, taking on more responsibilities and caring for everything but ourselves and our health. The bottom line is, if you aren't taking care of your body, taking care of your mind, and improving your overall well-being it's just a matter of time before it catches up with you. So that brings us back to the original question, why do I need a trainer? The number one reason I typically get from clients is accountability. When hiring a personal trainer, you are going to have set workout times, and you know when that time comes, you'll be getting that workout performed. That helps for so many reasons. One is your body thrives on consistency, and two, having that appointment time allows you to make sure you don't let anything interfere with your workout. Next, there's motivation. A certified trainer is going to motivate you, energize you, and sometimes even make you angry :) They're going to find those buttons to push, and push them to get everything they possibly can out of you. A good fitness professional knows what motivates his/her client, he/she will use that to their advantage. Intensity, intensity, intensity! I'm sorry you all, but you have to have it, and no program will succeed without it. Now don't get me wrong, it needs to be progressive, but without the right intensity and stimulus, your body is not going to make the adaptation and change. It's very hard to replicate the intensity with a trainer on your own. Finally, working out with someone is more fun than working out alone and will help with consistency. It passes the time, it can be a catharsis where you can spill all your emotion bottled up inside, and at the end of the day, it's going to get you in shape faster and let's be honest, results are important. I wish you all the best of luck in your quest, whatever it may be. Need More Reasons How Exercising With Our Personal Trainers In Towson Can Help? During vacation, I was playing basketball with my son and realized how out of shape I have become. As a result, I decided that I certainly need to do something because I was shocked by how unfit I was and how I felt. I tried it on my own but found that I wasn't attending the gym, so I decided to do a Google search where I found your company. I like the idea that you come to me because it doesn't give me an excuse not to workout. I have been working out with your company for about a month now and have nothing but good things to say. I called around and spoke to many different companies before I decide to hire Every Body's Personal Trainer. Eric, the owner, was so down-to-earth and made me feel at ease. I gave them a shot I am glad that I decided to go with them. They don't care about the dollar and care more about customer service and how everybody feels. They are great. I gained much weight this winter, and I needed somebody to get me on the right plan to get this weight off my body. The gym was never the place for me, so this option seems like it might be a good fit. Within two weeks I already feel great, and we're losing weight. I have gained much knowledge as well, and my trainer is always texting me to make sure I'm getting my workouts done on days off with him. If you are looking for somebody to help you with accountability and knowledge, these are the right people for you. Give them a call you'll be disappointed. Baltimore County has something for everyone! From malls to parks, to university, there is truly something for everyone in Baltimore County. In the City of Towson, there are many great parks which are excellent for outdoor fun. Cromwell Valley Park is a 426-acre park of rural farm-land. The cross-section of terrain makes the park perfect for local wildlife including various birds, deer, fox, etc. A great place to enjoy. Angel Park is another popular destination in the Towson area. Angel Park is the largest all-inclusive playground in Baltimore County, tailored for children with special needs. The playground design was developed with feedback from 4,500 pre-K through fifth graders from the Perry Hall area. Towson has a very popular shopping mall called Towson Town Center, the perfect location for clients to get in cardio during those dreary winter months. Towson Town Center is the second largest mall in Maryland and contains many great restaurants and shops to explore. The City of Towson is known for its very popular Towson University. Towson University is also sometimes referred to as TU. TU’s amazing 329-acre campus is located eight miles north of Baltimore and less than an hour’s drive from Washington, D.C. Known for great academics, Towson University also boasts one of the nation’s greatest male and female lacrosse programs. Not located in Towson? We also provide personal trainers in Pikesville and many other locations throughout Baltimore County. Question. What happens if I go on vacation? Will I lose my sessions? Answer. Absolutely not. When you buy a package of sessions, you are free to utilize your sessions however you prefer. Your workouts do not have to be done in succession, and if you go away on vacation, you can pick back up where you left off when you return. Question. Can you send me testimonials of my trainer? Answer. Of course. It is critical to make sure that your coach is worthy of your investment. 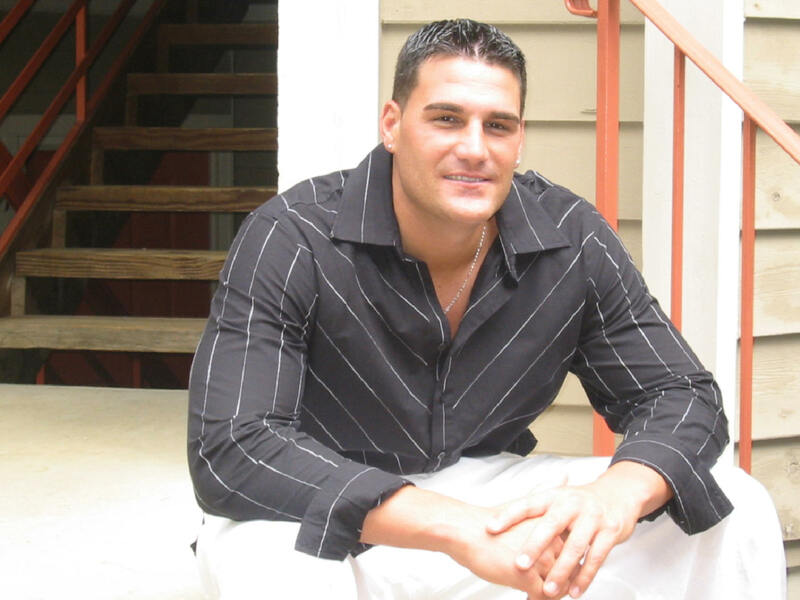 We can send testimonials, as well as have our coach come out for a free consultation. Question. Can my kids join in the workout? Answer. Of course, they can. We encourage all family members to join in as we feel it creates more of a friendly atmosphere for your workout. Question. Do I need equipment? Answer. You certainly do not. Our coaches will bring all the equipment necessary for your program, and you will not have to spend a dime on equipment. Question. What is a good phone number to give you guys a call to schedule my free consultation? Answer. You can call us anytime at 443-615-2702 we would love to hear from you. 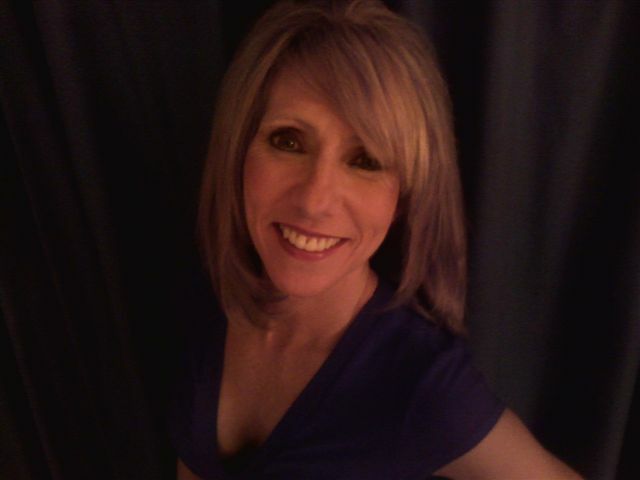 Have one of Maryland's best trainers work with you in the comfort of your own home. Our personal trainers in Towson, Maryland will bring the equipment necessary to give you a great total body workout in the convenience of your home. Give us a call today to get started on your path to achieving your goals with one of our coaches.